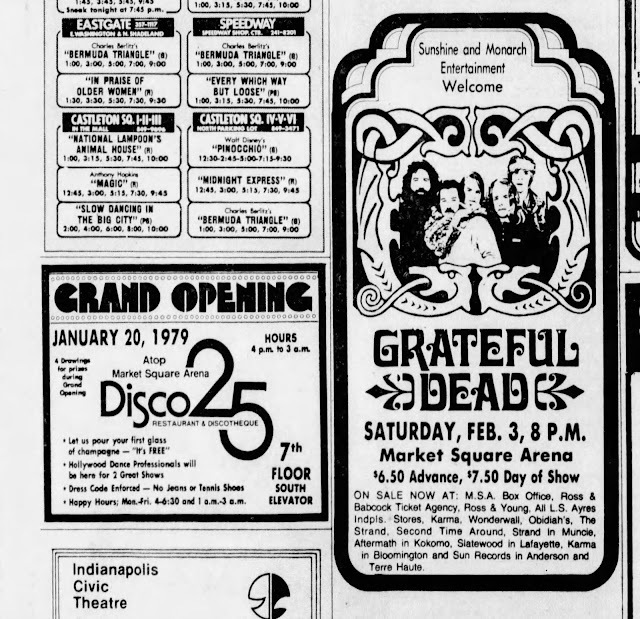 Here's a snapshot from 40 years ago this weekend. 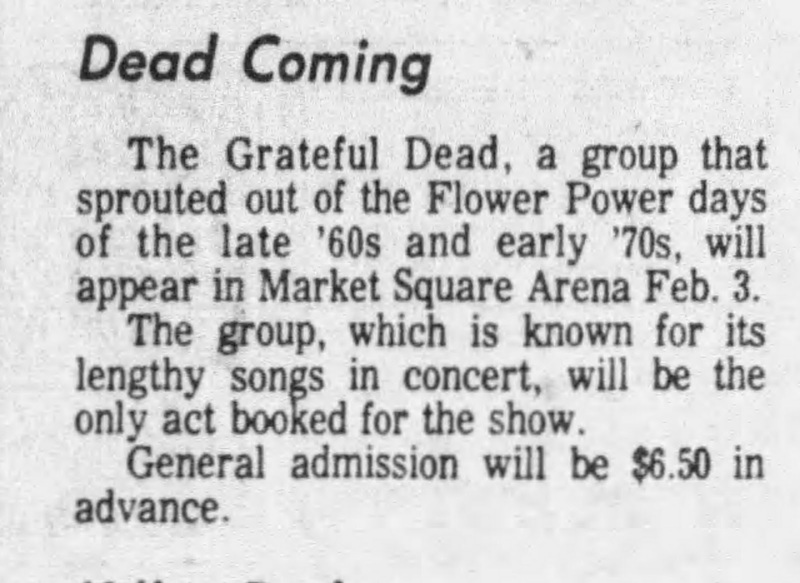 The Dead finish up the rescheduled East Coast shows from November, and play throughout January, ending up in the MidWest with shows in Indiana and Wisconsin. 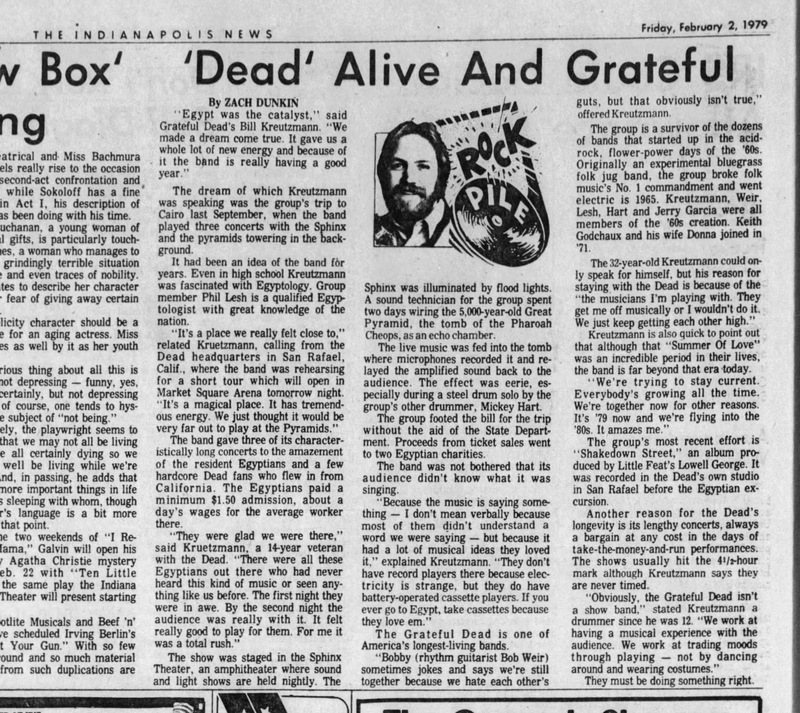 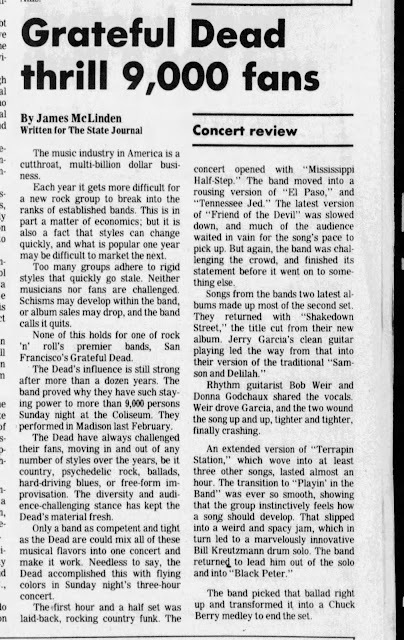 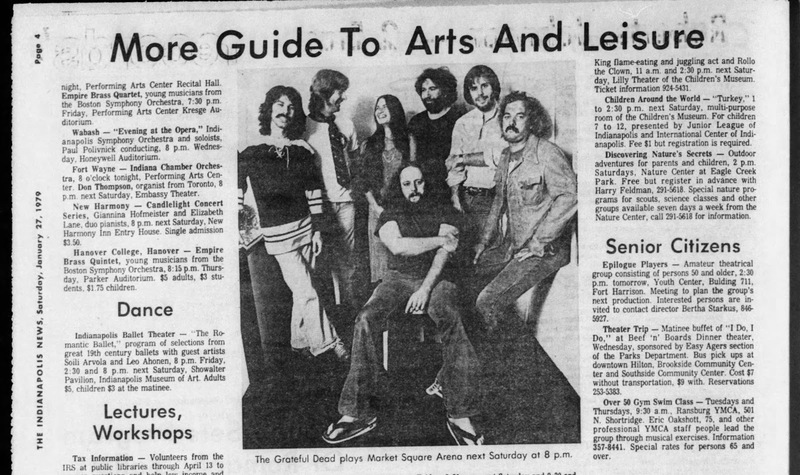 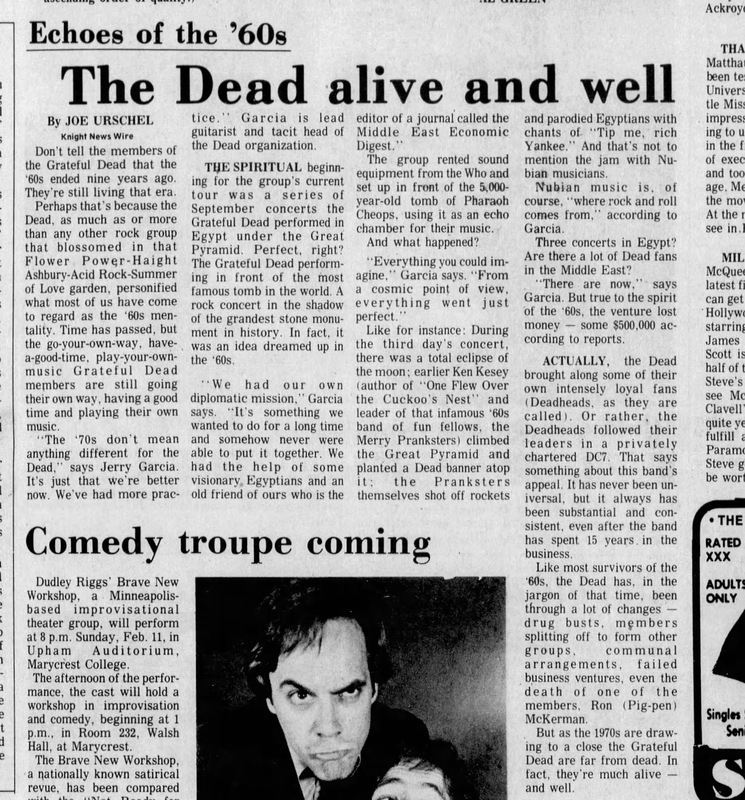 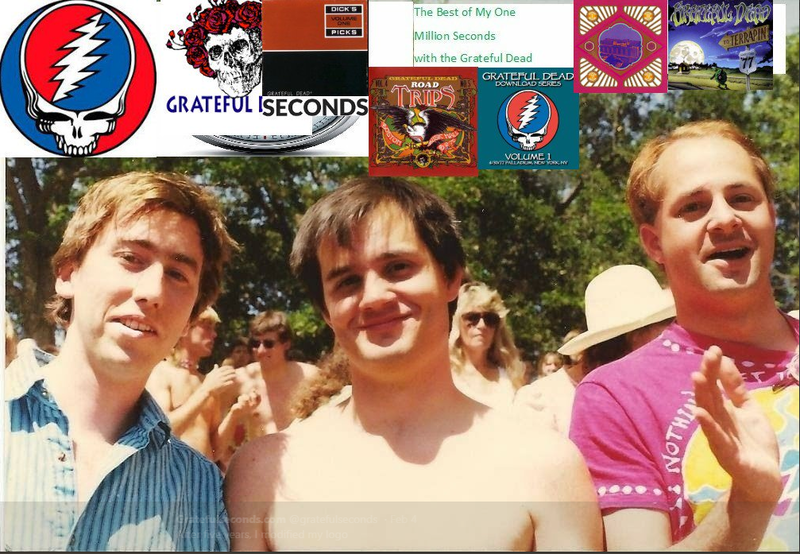 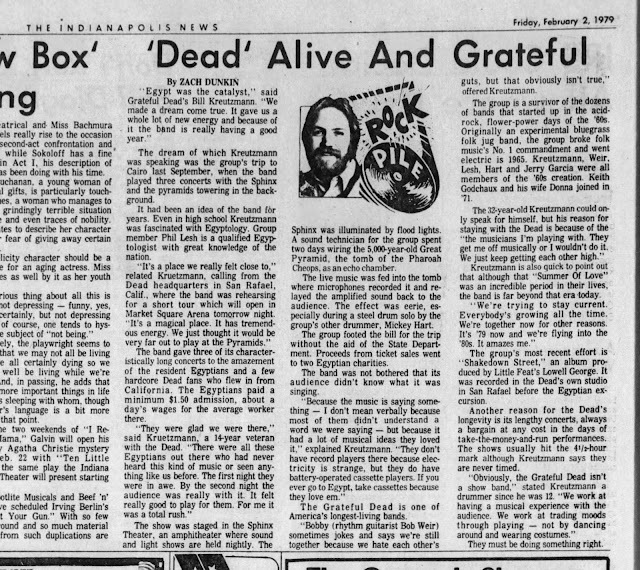 Not sure why the Dead keep ending up in Madison in February, but they did multiple times starting in 1973 and then 1978 and 1979. February 3 at Market Square Arena is a rare show with a mid set-one China Cat>I Know Your Rider followed in the second set by Scarlet Fire and Estimated Eyes. 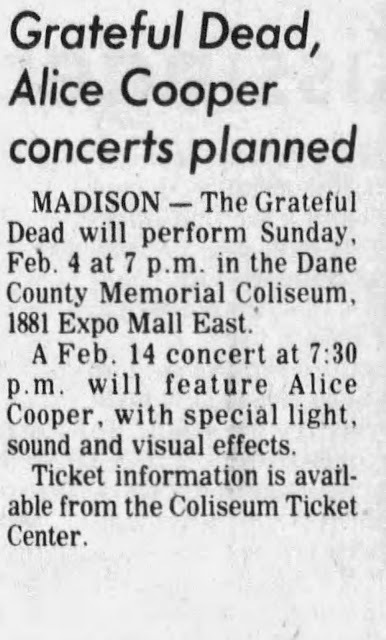 Madison gets and Iki Iko, and a strong Terrapin Playing in the Band. 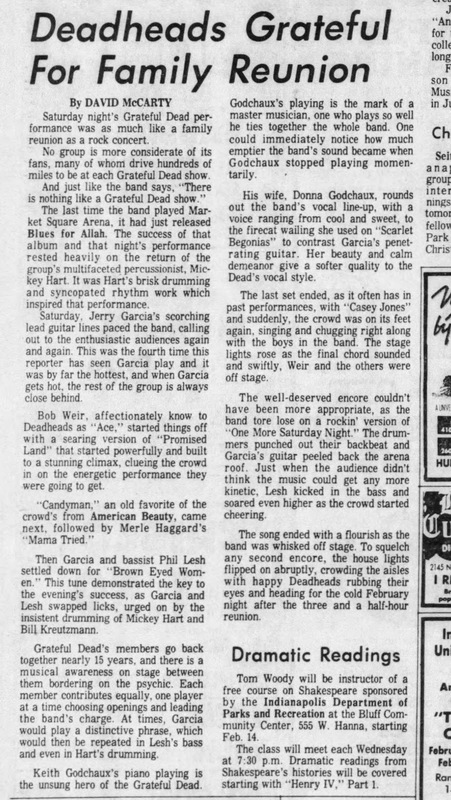 I've enclosed some local color ending in reviews of the shows.